A Peek at the Fun: What’s more fun at the holidays than a fun Elf themed Christmas party? 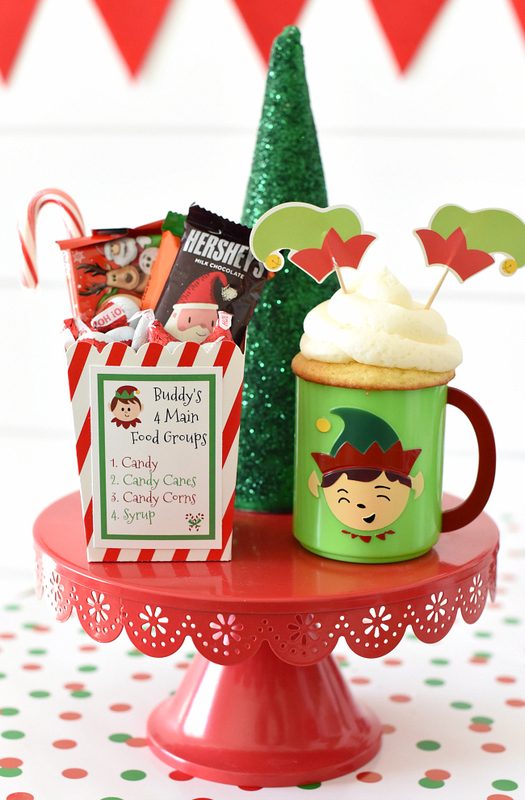 Throw this elf party while you watch the movie or just for fun! 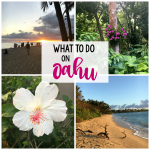 Christmas is the perfect time of year to cuddle up with the family, maybe grab a plate of treats or hot chocolate, a big bag of popcorn and watch a holiday movie. (OK, let’s be honest, we love to do that any time of year but Christmas just gives us a good excuse.) And our boys love it too! 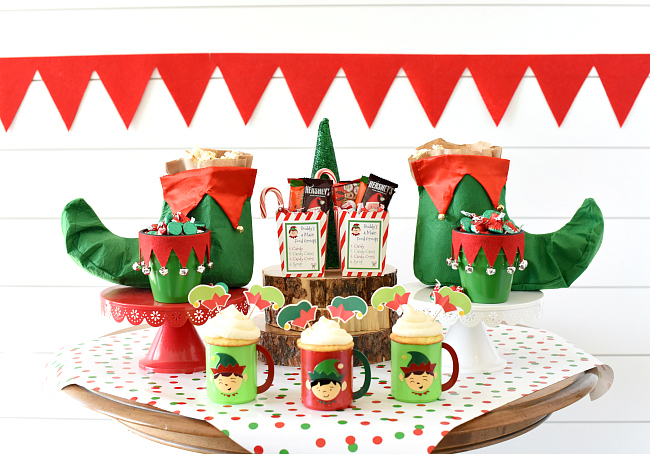 One of our favorite family movies to watch every year is Elf and an elf themed Christmas party seemed like such a fun party to throw! 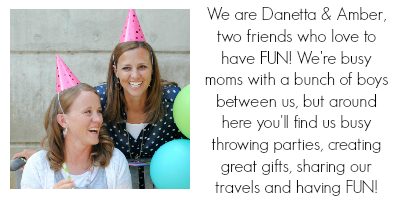 This party is pretty simple to pull together-something you could do for a fun movie night with the family! 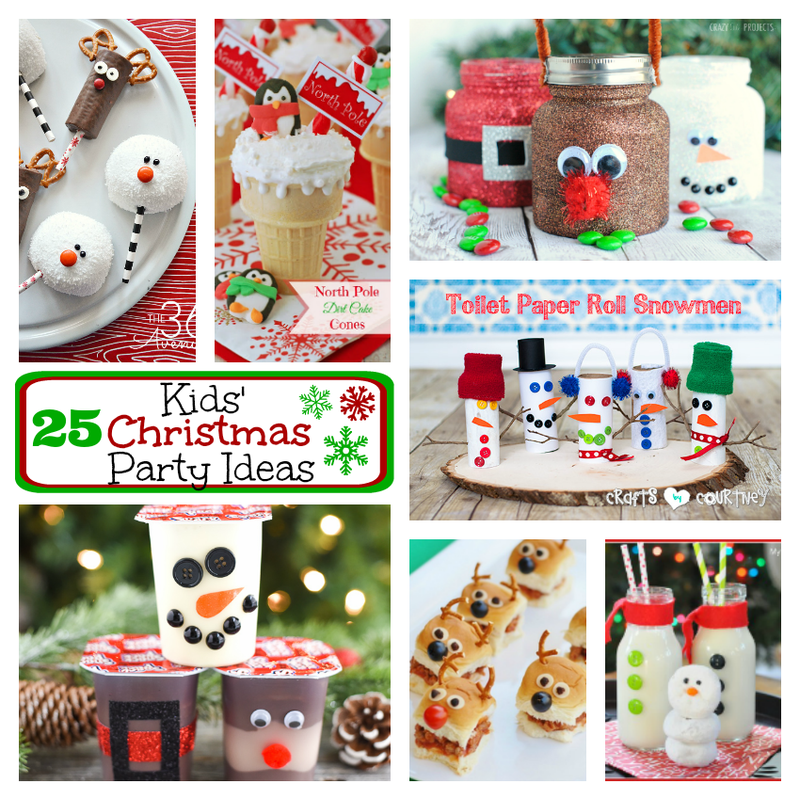 This doesn’t have to be a movie night party-it could also be fun with your elf on the shelf or just as a fun holiday party! 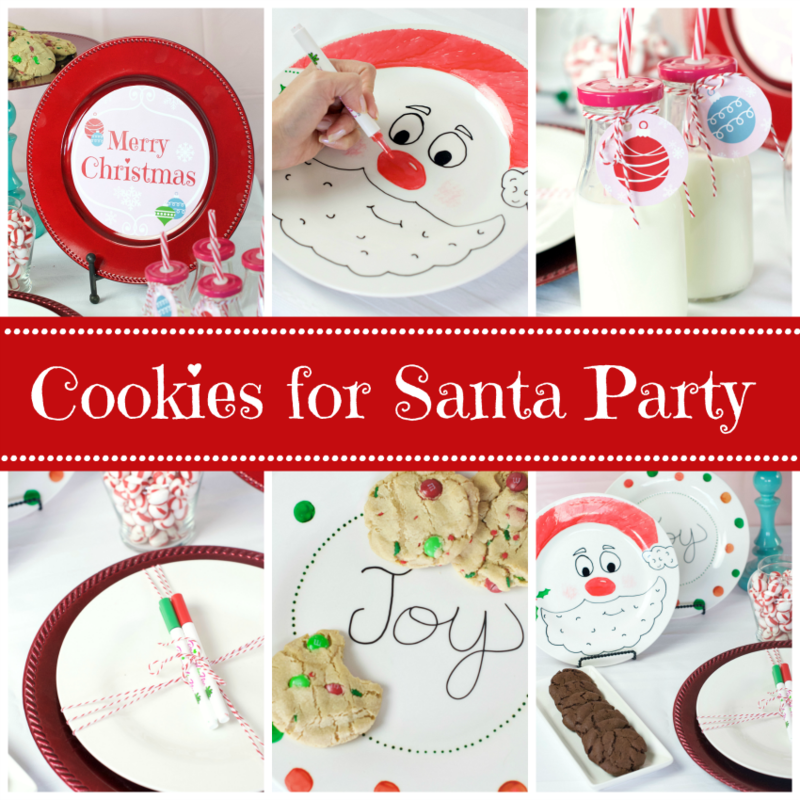 Who doesn’t love an elf themed party at Christmas time? Every good elf knows that an elf themed Christmas party is going to involve a lot of treats. (It’s important to hit the four main elf food groups.) This party is mostly food! (No complaints there right?) 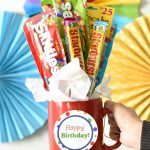 Fun treats that you can eat while you watch the movie. But it’s fun to put it all together with a festive, elf themed display. 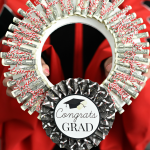 This makes it feel extra exciting to the kids and it looks so cute! Since food is sort of the main theme of this party, let’s start there. For the syrup, we just used juice in a cute milk bottle and added a cute little elf collar to it. And of course green striped straws. 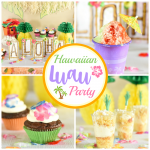 Cupcakes are a must at just about any party we throw. 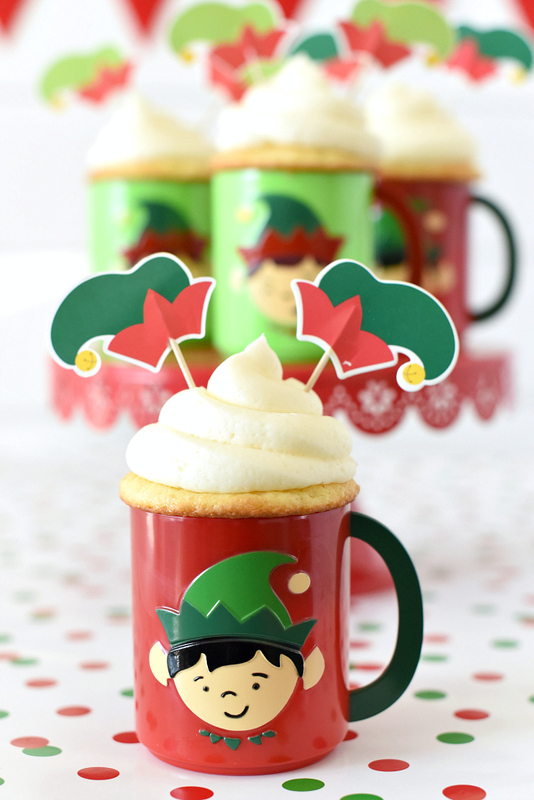 We love how these cupcakes fit down inside these elf mugs so perfectly and how cute are the little elf feet sticking out? 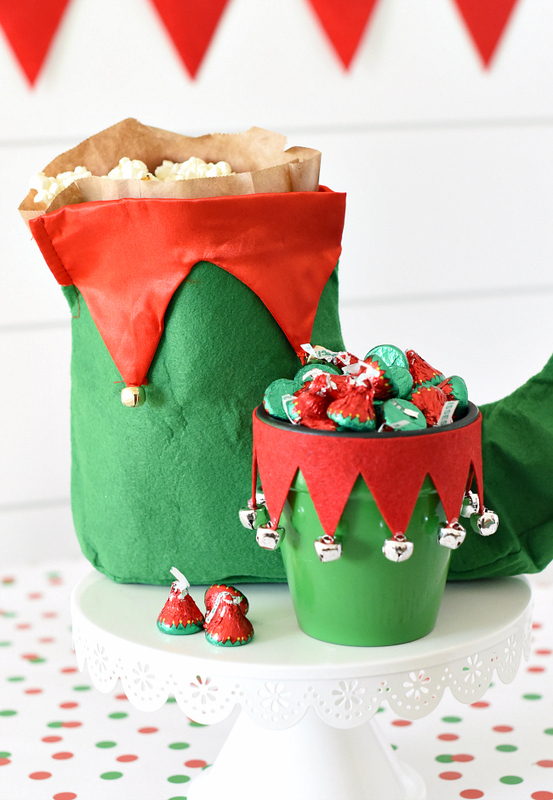 And why not serve popcorn out of an elf boot and elf kisses in an elf candy dish? Mmmm…all of these treats are making us wonder if we are part elf? 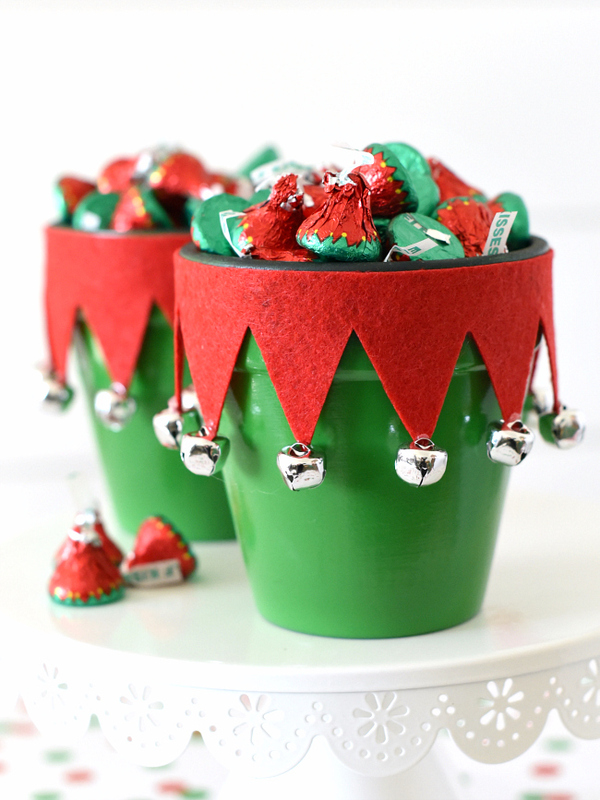 The food spread was sort of decoration itself, but these elf themed candy dishes were a fun accent that we created from a flower pot and we LOVE the accent they added to this party! To make these, we simply painted a flower pot with green spray paint. Once it was dry we added red felt cut into triangles and glued little jingle bells to it. Then filled it up with elf kisses! Perfect! 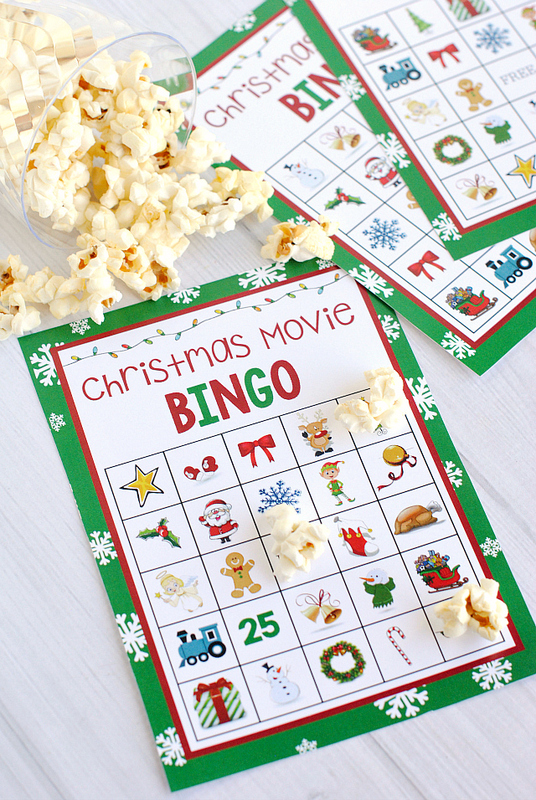 While you watch the movie, it will be fun for the kids to play Bingo! The idea here is that each kid has a card. When they see something that’s on the card in the movie, they can put a marker on it. For example, if they see a wreath, they can cover the wreath. The first one with five in a row wins! 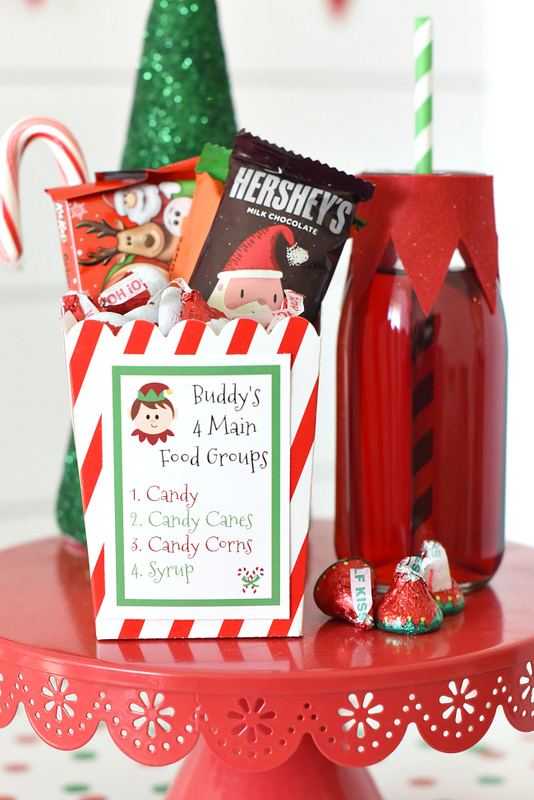 We are excited to throw this fun elf party for our kids! 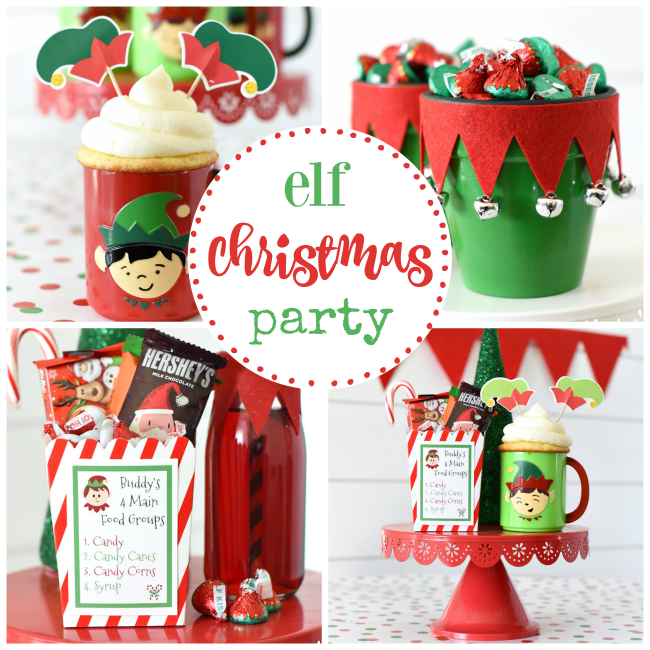 Have FUN throwing this elf themed Christmas party!